We are excited to share the first in our Employee Spotlight Series which features Senior Field Service Engineer for Precisa UK, John Goodall. John started with Precisa during the summer of 2015 where he split his time as not only a Field Service Engineer, but as a Workshop Engineer as well. This allowed him to gain a thorough understanding of a wide range of aspects of the work from basic operation to verification/calibration, to troubleshooting/repair. In terms of Service and Calibration work, John is responsible for covering the South-Eastern quarter of England, but with the option to assist the Engineers that cover the Central and South-Western areas as well. He is the primary point of contact for internal and external technical support and repair, and is involved with the Precisa’s UKAS/ISO Certification process. John is also responsible for the training, support, and development of the other engineers in the field or in the workshop. In addition to all of that he is also responsible for putting together troubleshooting guides and general working procedures to ensure the whole team is working to the same standards, and have the ability to deal with any situations they may face. John also enjoys the troubleshooting aspect of the role. He says he finds it satisfying to arrive at a site where a customer is experiencing a problem and then leave with that problem resolved and the equipment restored to working order. Even just being able to provide the customers with useful and thorough advice to improve the way they use their equipment and achieve better results or improve the functionality for the end-user. In his spare time, John enjoys working behind the scenes for a company that makes small Independent Horror Movies for general release, which he says proudly makes money that larger companies have as their tea and coffee budget. 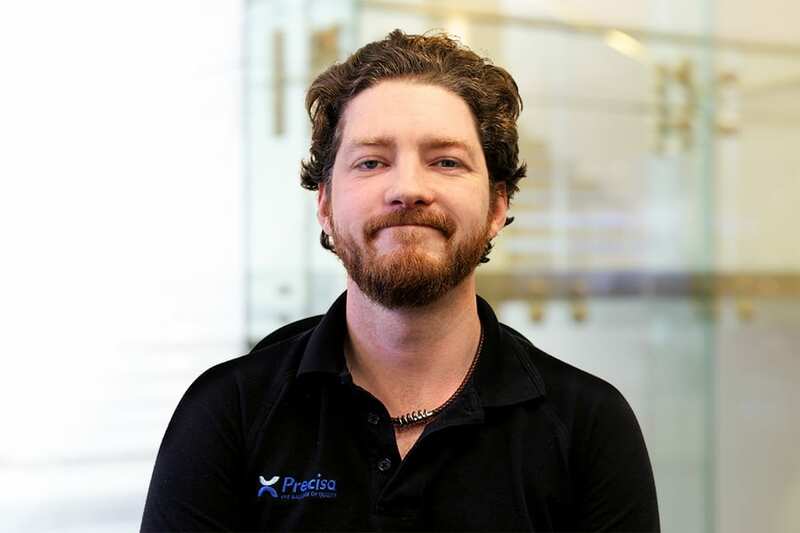 If you have enjoyed reading the first installment of our Employee Spotlight series and would like to find out more about our team and our precision and analytical balances then contact us at info@precisa.co.uk, and follow us on social media.